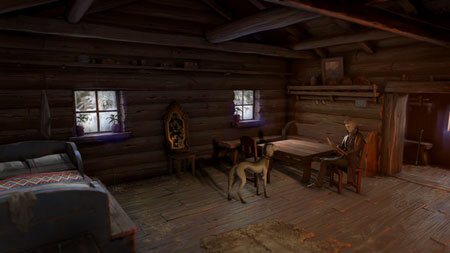 Dance of Death: Du Lac & Fey is a point and click mystery adventure game developed by Salix Games and Tea Clipper Games. Take on the roles of immortal hero Sir Lancelot Du Lac, and cursed sorceress Morgana Le Fey, as you hunt London’s most prolific serial killer. Join forces with Whitechapel local, Mary Jane Kelly, to explore the capital’s underbelly, meeting a diverse cast of characters who fill the streets of the Metropolis with noise and colour. Explore the sights, sounds, and locations of the Ripper’s London, and immerse yourself in all that the Victorian era had to offer. If you get stuck in the game, check out the video walkthrough and gameplay for the game. This entry was posted in PC Games, Walkthrough and tagged Dance of Death: Du Lac and Fey Cheats, Dance of Death: Du Lac and Fey Gameplay, Dance of Death: Du Lac and Fey Guide, Dance of Death: Du Lac and Fey Strategy, Dance of Death: Du Lac and Fey Walkthrough by Marvin. Bookmark the permalink.